Home / Travel / How You Can Enjoy Your Official Tour to Dehradun? How You Can Enjoy Your Official Tour to Dehradun? Hi all, This is the first travel post on this blog. 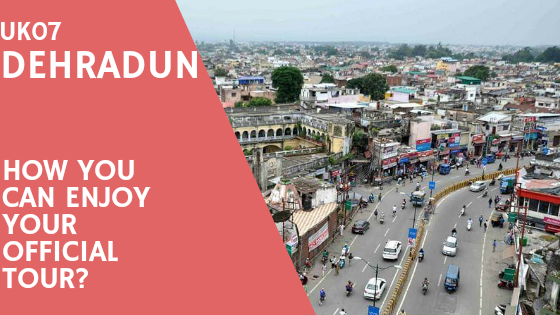 As the topic suggests, how you can enjoy your official tour to Dehradun? Means you have no time between 9:00 am to 6:00 pm except lunch time and tea time on your office hours. The important thing in an official tour is your plan should be specific and you have your schedule well prepared before you arrive at your work station. So this post is the tour guide of your official tour to Dehradun. 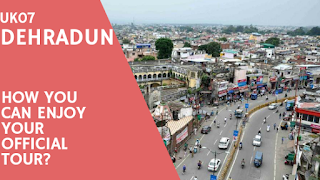 As a professional, I am traveling to Dehradun for two days every month from almost the last seven years, and I have a nice plan for every time I visit Dehradun. Here I am going to share what is best I do to utilize my time during my official tours to Dehradun. If your accommodation is company provided you have no choice to exempt from it. But if it is your own I will suggest it must be nearby your work station. Prince Chauk in Dehradun is Market of Hotels and here you have availability of various types of Hotels to bargain and choose. Although there are plenty of apps for online booking of Hotels my experience with the online app is not so good with respect to what is presented to what it showed. If you convinced your stay near Prince Chauk that is great for you as it is the center of the city and you can handle all your commercial, financial and professional activities timely. Another best part of choosing Prince Chauk nearby places as your accommodation is it is nearby railway station too, and it will be an advantage to save your time and money in the local conveyance. Here is the tip for your stay that you have to choose a hotel which is going to provide you with good quality breakfast early in the morning as you have to get a good start for your day. If you are looking for the Hotel recommendation please comment below I will definitely recommend you few assured quality Hotels. When you out from home you miss homely food apart from your kids and family, isn't it? How you feel about taste, food, and stomach on your tours? I noticed many of my colleagues avoid outside food due to lots of digestive problems arises after taking outside food. Unless they do not find someone providing homely food they avoid to take it. But when you really feel hungry you can not compromise with it. So why don't you plan it earlier to have a great lunch for your great afternoon? As this post is a tour guide of your official tour to Dehradun it will recommend you the best you can enjoy. 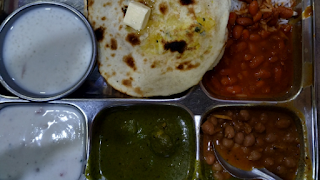 On my routine visits to Dehradun, I found some great places to have Lunch and Dinner. One of them a Vegetarian Punjabi Dhaba reminding me a lunger of some Great Gurudwara Shahib.The varieties of tasty and homely food in a single plate will make your day and you will have a day to remember. "Us Da Dhaba" the first day when I visit there and one of my colleague was taking token of food from there I was surprised to know that, even in Prince Chauk where there are lots of restaurants providing good food why we are standing in a line to take token; the taste of food on the plate was the answer, and it became one more reason for my excitement whenever I have to come to Dehradun, So whenever you are staying nearby Prince Chauk you must have your Lunch or Dinner at "Us Da Dhaba". Have you planned what will you do after your stressful sessions the whole day? Maybe you have the plan to have get-togethers with company colleagues leading to late night debate involving too much alcohol and office talks and finally producing another stressful day to handle. What if you had an evening with a great movie, meeting with an old friend or relative in the city that will surely a newness and stress reliever activity for you. One more thing is very interesting and enjoyable in the city is to check out the shopping malls nearby to you, if you have strong control over your shopping habits. It actually gives you the updates on trending items in the market and a comparative idea of prices and quality of the same item in your local city. So what you think about this idea? Non-Vegetarian people always seek a taste like never before. As I have written about a vegetarian restaurant above for your Lunch or Dinner. For Non-Vegetarian I have a great recommendation and it will definitely be liked by you guys. Just enter in "Doon Darbar" nearby the Prince Chauk and order Chicken Changeji with whatever you want and the taste of the Chicken will blow your taste senses. Another good thing is a 15 to 20 minutes of walking distance of "Doon Darbar" from your hotel gives you an opportunity of night walk after dinner. 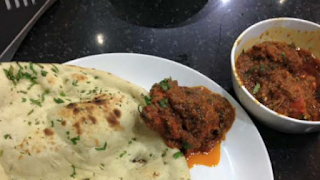 That is my personal experience of traveling to Dehradun regularly that from next visit you will search for excuses to visit these restaurants for your Lunch or Dinner. This is a simplified tour plan which suits me best on my routine official tours to Dehradun. What is your plan? Write to us in the comment box.